A medley of shapes in a mix of deep and light pinks with a shimmer . 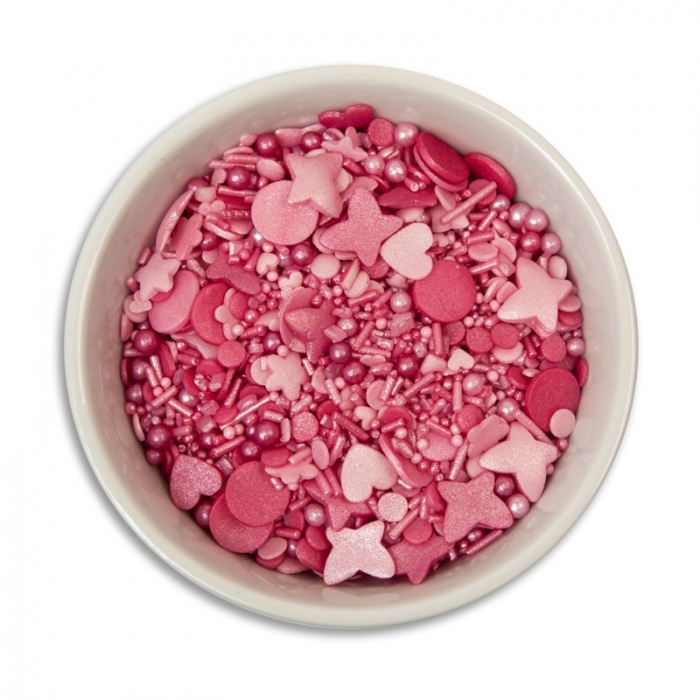 These mixed sprinkles are must for your cupcakes, chocolates, cakes and cookies. Manufactuered in the UK. Sold in 100g bag, net weight.